If you live in an old house or apartment, you might have found walls that are not the standard 1/2" or 3/4" drywall. Before the 1950s, it seems that lath and plaster walls were the norm. That's all well and good, but using a traditional stud finder will get you nowhere since the whole wall has a thin layer of wood that the plaster was slathered on. Since your 40" TV is not going to be stable unless you find a stud, you'll need some other way to find that elusive piece of wood. Instead of finding the density change with wood vs drywall, the way a traditional stud finder works, you can find the stud by finding the nails that hold the lath boards to the studs. The nails will run up the wall along a line. While you could use a metaliscanner, you can go cheaper if you have some relatively powerful magnets lying around. Just run the magnet around the wall where you think the stud is (based on knocking on the wall). 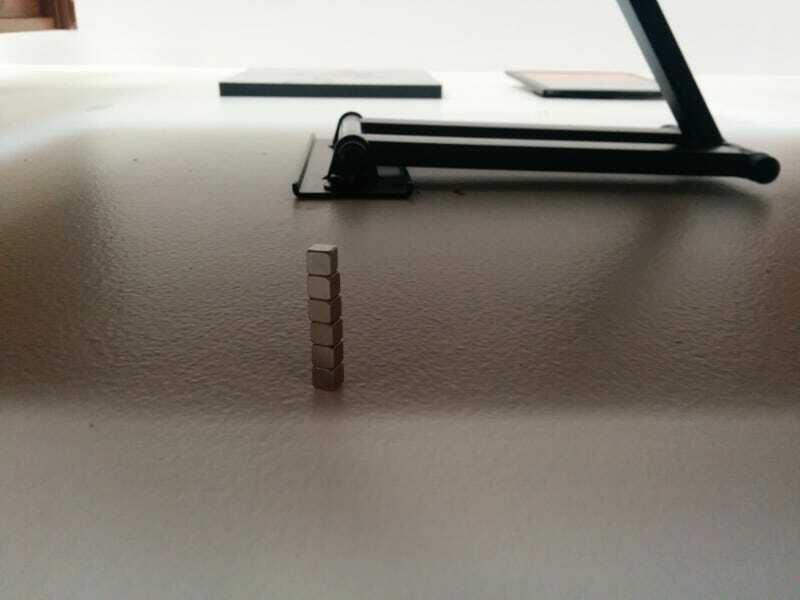 If your magnets are powerful enough, they should find the nails without a problem.